“If we drive up in cars then the herd won’t be skittish. 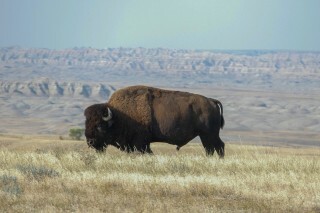 They know that horses mean it’s time to go, but cars are just routine,” said Steve Tatsey, the Blackfeet Nation Buffalo herd manager. Steve and I were talking through the logistics of taking a dozen guests out to visit the Blackfeet buffalo herd in Montana. 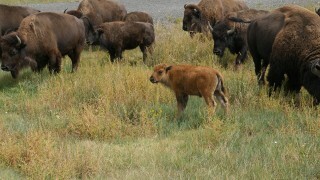 We crested a small hill and there they were: the Blackfeet Nation buffalo herd, ambling around their summer pasture. As we stopped the cars, a few of the bulls turned to face us, and the cows milled around behind them, curious but cautious. “Hey Steve, how much did you pay them to be waiting for us here in these wildflowers?” I joked. The animals looked so at ease, so natural in their ancestral homeland. It’s clear they belong here. This herd will spend the rest of their lives living comfortably in these pastures. 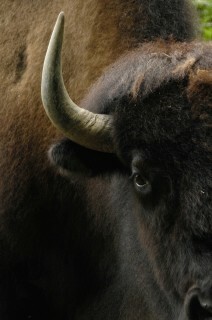 In 2016, the Wildlife Conservation Society and the Blackfeet Nation brought 89 buffalo from Elk Island National Park in Canada with the intent to release them on the reservation. 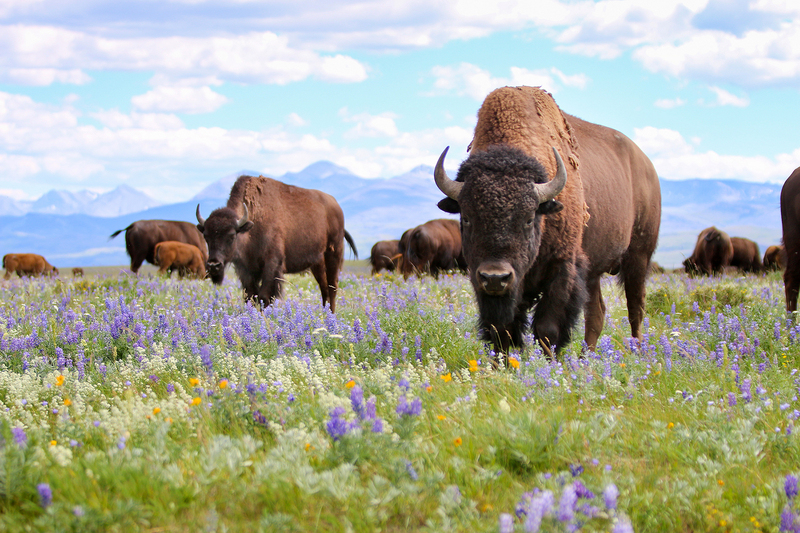 Seeing the herd reminds me what we are working toward – the return of wild, free-ranging buffalo in the Crown of the Continent.